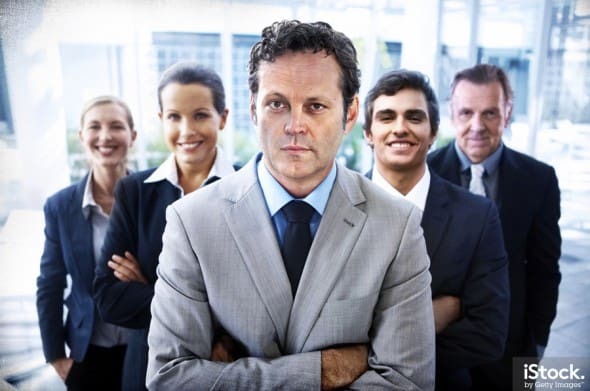 Since last week, iStock by Getty Images is offering a set of images starring Vince Vaughn and his co-stars in the upcoming movie “Unfinished Business”. The images are overly staged and manipulated and can be used for editorial purposes only. It is a promotional effort and has been ridiculed but basically it's having a bit of fun between clichéd stock images and some movie stars. 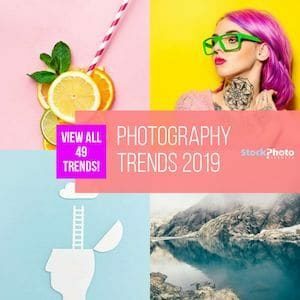 The images were not shot in a complete set, instead iStock has used this existing images from their own library and replaced the models' heads with those of the actors. And those you can use as well – for editorial or commercial purposes. And you can change them to your liking (with very few limitations), according to the license agreement. So we decided to use the promotion as an example how you could turn an existing stock image into your personal piece of promotion. 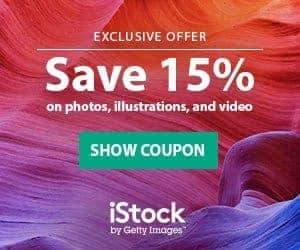 Buy the original stock photo from iStock before you start your retouching! After having found a stock image we would like to see ourselves appear in, we are now going through our own images. What we are looking for is a shot of ourselves with our head in a similar position to the underlying stock image we are going to use. In this case we have found an image with the head showing in the other direction but besides that the head and the friendly, optimistic expression fits the scene very well. Another advantage of this image: The head is in front of a blank background, so it will be easier to cut out the head to place it on top of our stock image. For the first part, we are making a very rough cut out of the head from our new image. In this step, we don't know yet how it will fit into the new scene exactly, so we need to include enough of the neck at least. At this stage we are using the Lasso tool to go around the head in our original image. Make sure that you include all of the head and some more around it to allow for errors. When we are happy with the new head, we need to place it on top of the underlying stock image. 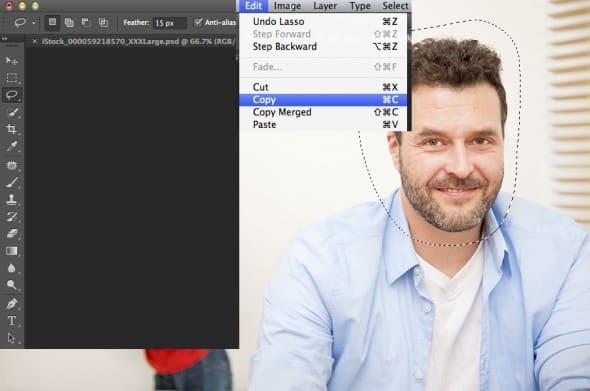 From our original image, we can just use the Copy function, switch to our stock photo and use Paste to place the head on top of it. 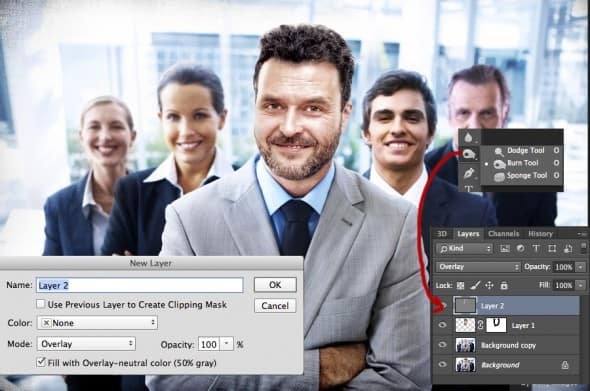 Photoshop will automatically create a new layer for the new head. Make sure to reduce the opacity of the new layer to something around 50%, so you can still see the underlying image shine through. Now use this transparent effect to place your new head at the right spot. You will most likely also need to re-size your new head to match the original. Hint: when using the mouse to resize your image, keep the Shift key pressed the whole time, this avoids changing the aspect ration which would make your head look odd when you change only the width or the height. As we will now find out, the colors – especially on the skin – of the image we used are different from those in our original stock photo. 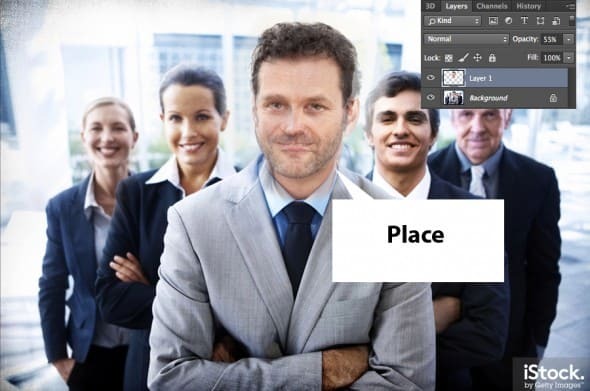 This is a common mistake people make when putting images together in a Photoshop composing. As we can see, our new head contains more yellow and red, so we need to remove some of those colors. There are many different ways built into Photoshop, we have used a Hue/Saturation layer, right clicked on it to create a Clipping Mask (so our changes only affect the layer with the head and not the whole background image). In another step, we also need to change the contrast on our new image, especially as the light falls differently on the people in the background than on our new head. For this, we create another layer, have the mode set to “Overlay” and fill it with grey. Now we can “paint” into the new layer, using the Dodge (to light up elements) and Burn (to darken areas) tools. For example, as in our original images the left part of the faces are bright from a light source shining into the image, we need to brighten up that part of our new head as well. At this stage, you have the size and position of the new head to your liking, so it is time to get rid of the remaining original background. In this stage you can use a layer mask to hide pixels from the added head and its surroundings. 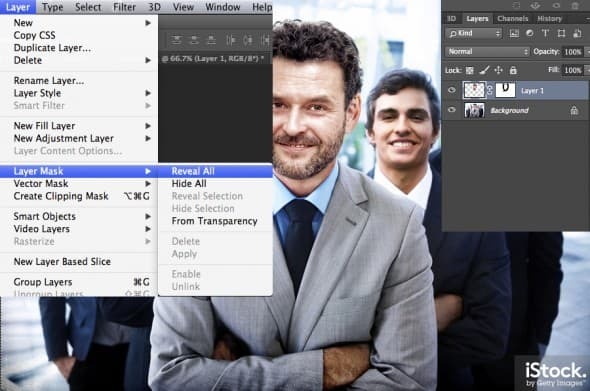 The advantage of using a layer mask over cutting out the image before pasting it into a new image: On a layer mask you are adding black pixels to remove something from being visible but the original head remains in there. So if something goes wrong, you can always go back and change parts of the layer mask to make some of the original pixels re-appear. You can use different selection methods to give you a good start – there are several tools in Photoshop like the Quick Selection Tool or the Magic Wand. Most of them will not provide a perfect result but a rough edge, and if you cut out an image this way, you will notice the typical “halo” you see around photoshopped images. The “trick” here is to avoid anything of the original background to shine through, especially in the hair section. So you want rather to cut in a few pixels off the hair than leave some bright background in there. This is definitely the toughest part and you will need a few tries and refinements to make this one right. The promotional images used by iStock for the movie have been changed a bit more from the original, for example by adding some “vignetting” (darkening the corners) – all of this was done in a very rough and destructive way in this case but we can only assume that this was mostly a fun project and iStock wanted to avoid people to actually make use of those images for more than the promotion it was intended for. So putting in some more effort into it, we are sure everyone could achieve a technically much better result. We hope that you can use some of the information given, and we would be happy if you try out your new skills on one of the promotional images (or any others you found) and share your results with us. 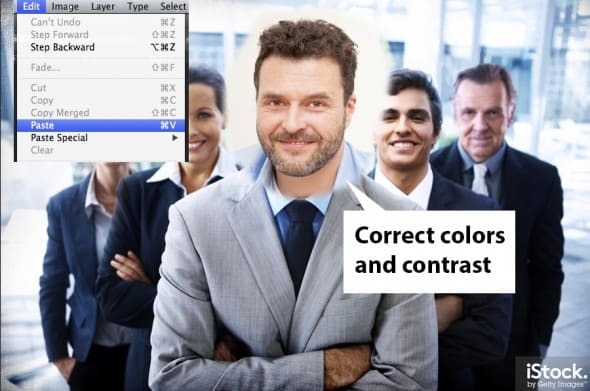 Make sure to buy the original stock photo from iStock before you start your own retouching. You can then even use it in your own designs, promotions and advertisements (and predict you are a star in Vince next movie ;-)).